Paranoid came to the end of its eight-week run on ITV last week, and I've just caught up with its final episode of. Bill Gallagher's conspiracy thriller. It felt like a guilty pleasure. Yes, there were massive plot holes, and the behaviour of the three lead detectives made it seem wildly unlikely that they'd ever hold the bad guys to account. But the rural Cheshire locations delighted me (quite a lot of the action took place in Dusseldorf, but never mind) and the pace of the story compensated, by and large, for the wackiness of some of the twists. The Moonstone, a five-part daytime BBC drama, also had counter-intuitive elements. I liked the idea of the black butler, Gabriel, a brave concept that worked well, though I felt his chumminess with his employers was less than realistic. Terenia Edwards (no relation) was a convincing Rachel Verinder, and though I felt that the story was rather stretched out to fit the five episodes, it was all in all a decent version of one of the great Victorian novels of sensation. Dark Angel (not to be confused with various other stories with the same title) was a two-part ITV show about Victorian serial killer Mary Ann Cotton. Joanne Froggatt played her very well, and Alun Armstrong was good, as usual, as her step-father. Mary Ann had a penchant for putting arsenic in people's tea, and she did this so often that the attempt to stay true to her criminal career verged, unintentionally, on the comic. Again, though, I stayed with this to the end. Like the other two shows I've mentioned, for me it had quite an appeal, despite occasional flaws in the scripts. Anthony Wynne had a knack of dreaming up excellent "impossible crime scenarios", as readers of his enjoyable British Library Crime Classic Murder of a Lady know. So I approached his 1934 novel Death of a Banker with high hopes, and found that the story opens brilliantly. We are presented with the central problem in the first chapter, during a conversation between the "Giant of Harley Street", Dr Eustace Hailey, and the Chief of the C.I.D., Colonel Wickham. A banker called Hall takes part in a hunt in Northumberland. He is seen to fall from his horse in the middle of a grass park, in front of fourteen witnesses, and when they reach his body, they find that he has been stabbed to death. How could he possibly have been murdered? As the despairing Wickham says, it's "one of those new ideas in killing". Duly tantalised,I read on. Before long, however, I began to fear that the superb opening would be as good as it got, and so, I'm sorry to say, it proved. Wynne, who was very interested in economics, had a lot to say about the way that bankers behave, and many of us would agree with his reservations about them. But, interested though I am in the impact of politics and economics on Golden Age fiction, the part played by international finance in the storyline soon becomes intensely tedious.. There are two distinct recurrent features in poor Golden Age mysteries. One is the presence of American gangsters - here, at least, Chicago gunmen are mercifully absent The other is the presence of political leaders from a fictitious European state on the brink of revolution, and here we have a prince whose position as head of state is threatened by those pesky Communists. I found the plot involving the prince tedious in the extreme, and I kept reading simply to learn the solution to the impossible murder. But even that was plucked out of thin air. There are a few nice lines, such as: "Since Europe became the slave market of money-lenders, loyalty has almost completely disappeared as the basis of government", and it's clear that Wynne was keen to write about topical issues. But I don't think it works, and I doubt it worked even in 1934. Suffice to say, I felt this book was markedly inferior to Murder of a Lady. This week sees the publication of Crimson Snow, the latest British Library Crime Classic. 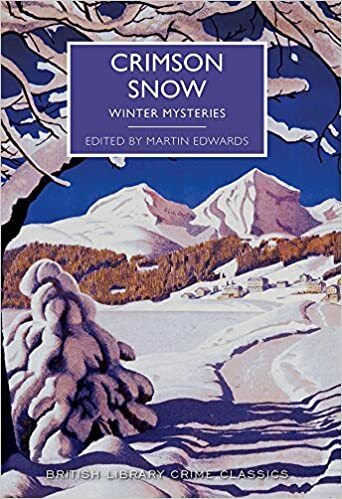 It's an anthology of winter mysteries that I've put together on behalf of the Library, and I'm delighted that early orders have been very impressive. There's a special edition for Waterstones, with a slightly different colour selection for the cover. And in the Library's Classic Crime pop-up shop you can even find bags and coasters emblazoned with the cover artwork. All very gratifying.. But what of the content of the book? After all, despite all the lovely enthusiasm for Classic Crime cover artwork, content remains the most important thing.There are a dozen stories - slightly fewer than in other BL anthologies, but that is because one of the stories is more like a novella, meaning that it's actually a chunky volume. The long story in question is "Death in December" by Victor Gunn, and I'm confident it will be familiar to very few readers. 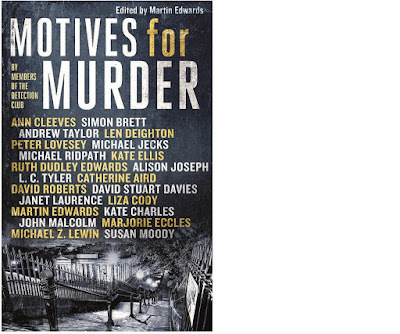 The same is true of some of the other contributions, including "Murder at Christmas", a Ludovic Travers story by Christopher Bush, and "Off the Tiles" by Ianthe Jerrold (this may well appeal to readers who have enjoyed her crime novels, reissued in recent times by Dean Street Press). There are also some major names, including Margery Allingham, Edgar Wallace, and Julian Symons. 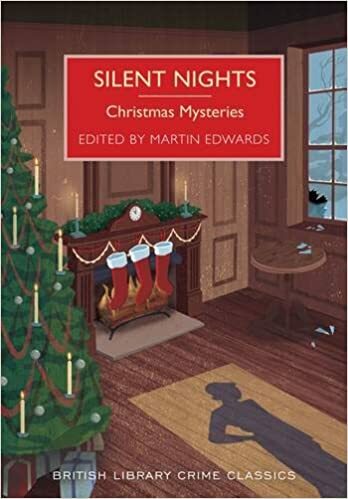 When I put together Silent Nights, an anthology of Yuletide mysteries, for the British Library last year, I didn't envisage that there would be enough material to justify another seasonal collection like this. But once I started researching I was pleasantly surprised. And there's a nice bonus, too. Thanks to information given to me by Jamie Sturgeon, I was able to include "Mr Cork's Secret", by Macdonald Hastings, a Christmas puzzle mystery which originally appeared in "Lilliput" magazine. Prizes were given and the solution to the puzzle was printed in a subsequent issue. 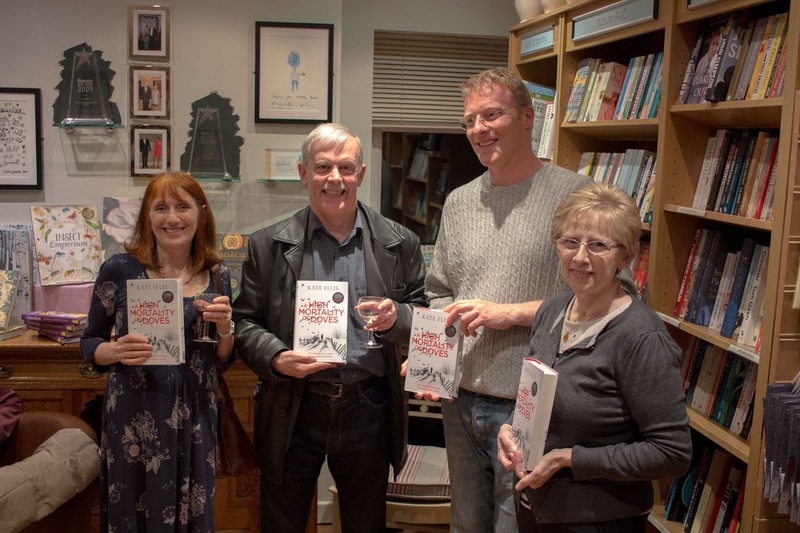 No prizes this time - you'll have to enter the "Murder at Magenta Manor" competition at the Library itself to win some books - but the solution is printed at the back of the book. 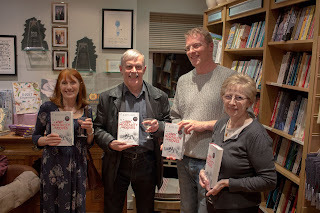 All in all, I'm very hopeful that crime fans will find in Crimson Snow, and also in Silent Nights, plenty to enjoy, as well as a pleasing solution to their Christmas present-giving dilemmas! Dawn of Reckoning, by James Hilton, definitely qualifies as a Forgotten Book. Originally publisheed in 1925, it's not really a crime novel. When it was issued in paperback (following Hilton's rise to fame in the 30s) it was, significantly, produced in an orange rather than a green Penguin edition. Hilton did venture once into the field of detection, at first under a pen-name, Glen Trevor,, but he was not primarily a mystery writer. He was, however, an accomplished mainstream novelist, and books like Goodbye, Mr Chips and Lost Horizon were hugely successful. He had a real gift, not least for conveying emotion. Interestingly, in 1941 Dawn of Reckoning was (very, very freely, I understand) adapted into an American film noir called Rage in Heaven: the screenplay was co-written by Christopher Isherwood, and the impressive cast was led by Robert Montgomery, Ingrid Bergman and George Sanders. I'd like to see the film one day. Hilton was in his early twenties when he wrote this book, and it shows. There are many clues to his rich storytelling talent, but there is still something not entirely satisfactory about the story. We begin with a boat trip taken by Mrs Monsell and her son Philip, which is rudely interrupted by an attempted suicide .A young Hungarian girl has tried to kill herself, but she is rescued, Mrs Monsell takes a shine to her, and brings her back to England. The girl, given the name Stella, settles into British life and she and Philip take a fancy to each other. Eventually, the pair marry, and Philip plans to embark on a career in politics. Things start to get complicated when his old friend from student days, Ward, re-enters his life. Stella and Ward become emotionally entangled, and at a late point in the book, there is a sudden death. 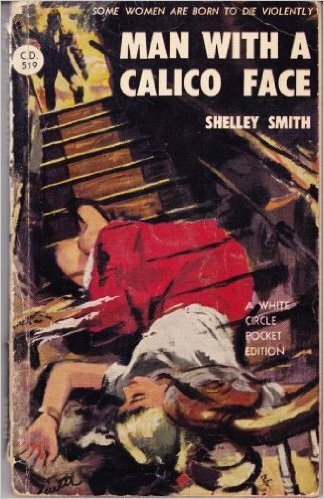 A murder trial follows, and there is also a race against time to prevent injustice - these are the elements in the story familiar to crime fans, though they are clearly peripheral to Hilton's main concerns, and have a slightly tacked-on feel. 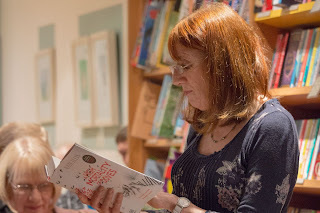 The material is strong, but handled unevenly, almost as if the young author lost interest in the characters who are important early on, notably Mrs Monsell, and turned his attention to other aspects of his story. 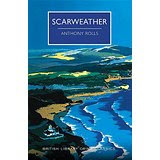 A flawed novel, then, but one that provides an interesting insight into the literary apprenticeship of one of Britain's premier popular novelists of the Thirties. Agatha Christie's Complete Secret Notebooks by John Curran is among them. I should say that this is not a brand new book, given that it combines John's two earlier volumes about Christie's journals, the virtues of which I've extolled on this blog before now. I find the insights into Christie's approach to her craft fascinating. John has also taken the opportunity to amend and update the text and commentary. I strongly suspect that John, like me,is one of those authors who is always keen to revise and improve what he has written. It's an endless task, and you have to draw a line somewhere, but he (like me) has benefited from our editor's admirable willingness to allow improvements to be made. 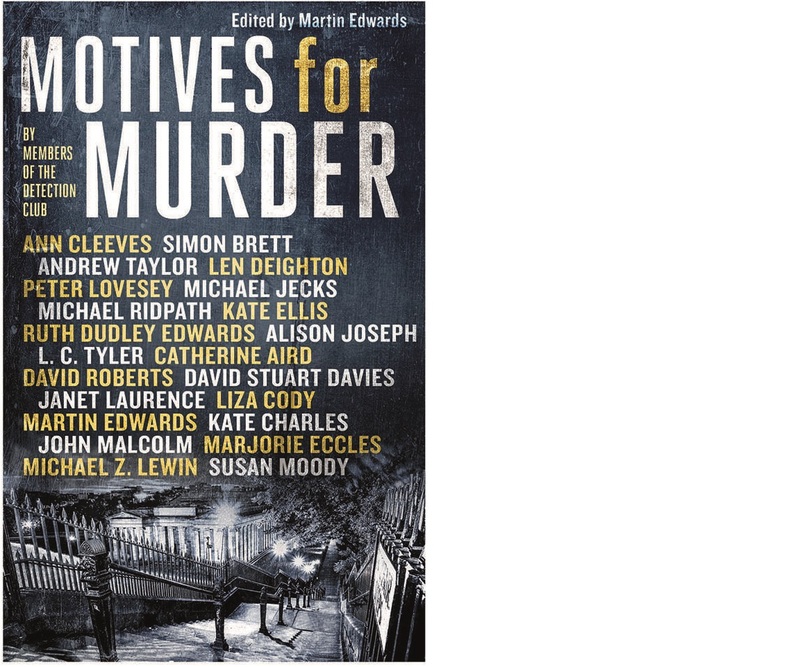 (When The Golden Age of Murder appears in paperback in the UK next year, it too will incorporate some revisions, reflecting in particular new information that has come to light). 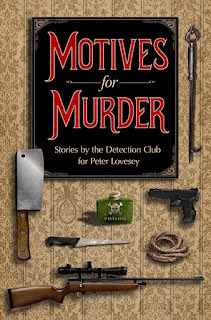 Harper Collins' Detective Story Club reprint series continues to yield some interesting titles. Freeman Wills Crofts' first (and some say, his best) book, The Cask, came out recently, and Hugh Conway's Darker Days has been issued in a Christmassy cover (you can bet that Waterstones and other bookshops will be overflowing with Yuletide-themed book covers in the coming weeks as everyone tries to emulate the Mystery in White effect!) In the new year, incidentally, Anthony Berkeley will feature in this series, notably with that early serial killer story The Silk Stockings Murders. Harper Collins have also revived the Crime Club imprint, which I think is good news, and titles include Lord Dunsany's short story collection Two Bottles of Relish. The title story is an acknowledged classic, and although Dunsany never surpassed it, his imaginative story-telling doesn't deserve the neglect into which it has fallen.